Vipin Narang will begin as an Assistant Professor in the MIT Department of Political Science in Fall 2010. Steven I. Wilkinson is Nilekani Professor of India and South Asian Studies and Professor of Political Science and International Affairs. He is currently working on a book on colonial legacies for democracy and conflict, as well as co-authoring a series of papers on the dynamics of partition violence in India and elsewhere. Much of his work focuses on India and ethnic violence. His book, Votes and Violence: electoral competition and ethnic riots in India (Cambridge, 2004) was co-winner of APSA’s Woodrow Wilson prize for the best book published in government, politics and international affairs in the previous year. He has also edited, with his former colleague Herbert Kitschelt, a book on clientelism entitled Patrons, Clients or Politics: Patterns of Political Accountability and Competition (Cambridge, 2007). He plans to extend his work on clientelism and the prospects for reform in a future project on state capacity in India and elsewhere. He received his undergraduate degree in History from the University of Edinburgh and an A.M. in History from Duke before getting his Ph.D. in Political Science from M.I.T. He taught previously at Duke and at the University of Chicago. Is India a Flailing State? Lant Pritchett is currently Professor of the Practice of International Development and Faculty Chair of the Masters in Public Policy in International Development (MPA/ID) program at Harvard’s Kennedy School of Government. Prior to returning the the Kennedy School, he was lead Socio-Economist in the Social Development group of the South Asia region of the World Bank, resident in Delhi, 2004-2007. He graduated from Brigham Young University in 1983 with a B.S. in Economics and in 1988 from MIT with a PhD in Economics. After leaving MIT Lant joined the World Bank, where has has held a number of positions in research complex, including as an adviser to Lawrence Summers when he was Vice President, and in the World Bank’s Operations in Indonesia and in India. From 2000 to 2004 Lant was a Lecturer in Public Policy at the Kennedy School of Government at Harvard University. Lant’s career as a economic researcher and development practitioner has produced three kinds of outputs. He has been a co-author and team member in producing books by the World Bank, including two World Development Reports (Infrastructure in 1994, and Making Services World for Poor People in 2004), Assessing Aid: What Works, What Doesn’t and Why in 1998, Better Health Systems fro India’s Poor: Findings, Analysis, and Options in 2003, and most recently Economic Growth in the 1990s: Learning from a Decade of Reforms in 2005. In addition he has authored (alone or with one of his 22 co-authors) over 50 individually signed papers in refereed journals, chapters in books, or articles, as least some of which are widely cited and he was (inordinately) pleased when his Google count (easy to do when one’s name is unique) passed 10,000. He has published widely in economics journals and in specialized journals on demography, education, and health. Finally, he has been engaged in policy dialogue and projects with governments and civil society around the world, both with the World Bank and as a consultant while at Harvard. Farzana Shaikh is an Associate Fellow of the Asia Programme at the Royal Institute of International Affairs (Chatham House) in London, where she directs the Pakistan Study Group. She was born and brought up in Karachi, Pakistan, where she also received much of her education. After an MA in Political Science from the University of Karachi, she left Pakistan to pursue her studies at Columbia University in New York, where she was awarded a Ph.D in Political Science. Soon after she was elected to a Research Fellowship in Politics at Clare Hall Cambridge. Since then she has lectured at universities in the United Kingdom, Europe and the United States, and most recently was named a Visitor at the Institute for Advanced Study in Princeton. She is a frequent commentator on current affairs in Pakistan for the media in Britain and abroad and continues to write extensively on the history and politics of Muslim South Asia. She is the author of Community and Consensus in Islam: Muslim representation in colonial India, 1860-1947 (Cambridge University Press, 1989). 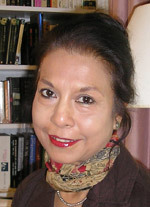 Her new book, Making Sense of Pakistan (Columbia University Press), was published in June 2009. Thad Dunning is Associate Professor of Political Science and a research fellow at Yale’s Whitney and Betty MacMillan Center for International and Area Studies as well as the Institution for Social and Policy Studies. He studies comparative politics, political economy, and methodology. His book, Crude Democracy: Natural Resource Wealth and Political Regimes (2008, Cambridge University Press), contrasts the democratic and authoritarian effects of natural resource wealth. His current work on ethnic and other cleavages draws on field and natural experiments and qualitative fieldwork in Latin America, India, and Africa. Dunning has written on a range of methodological topics, including econometric corrections for selection effects and the use of natural experiments in the social sciences. His work has appeared in Comparative Political Studies, International Organization, The Journal of Conflict Resolution, Political Analysis, Studies in Comparative International Development, and other journals. He received a Ph.D. degree in political science and an M.A. degree in economics from the University of California, Berkeley (2006). Click here and here for a map and directions. 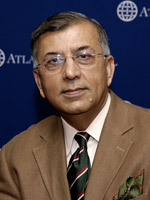 Shuja Nawaz was made the first Director of the South Asia Center at The Atlantic Council of the United States in January 2009. He is a native of Pakistan, and is a political and strategic analyst who writes for leading newspapers and The Huffington Post, and speaks on current topics before civic groups, at think tanks, and on radio and television. He has worked on projects with RAND, the United States Institute of Peace, The Center for Strategic and International Studies, The Atlantic Council, and other leading think tanks on projects dealing with Pakistan and the Middle East. He has also briefed senior European and US civil and military officials on Afghanistan and Pakistan and testified before both houses of the US Congress. He was a newscaster and producer for Pakistan Television and covered the 1971 war with India on the Western Front. He has worked for the World Health Organization and has headed three separate divisions at the International Monetary Fund. He was also a Director at the International Atomic Energy Agency in Vienna. Mr. Nawaz was the Managing Editor and then Editor of Finance & Development, the multilingual quarterly of the IMF and the World Bank and on the Editorial Advisory Board of the World Bank Research Observer. His latest book is Crossed Swords: Pakistan, its Army, and the Wars Within (Oxford University Press 2008). He is also the author of FATA: A Most Dangerous Place (CSIS, Washington DC January 2009).